First a student, Josh started his journey with meditation in extreme skepticism. As a creative guy who spent time in the advertising industry, before becoming a full-time parent of two, he knew the wear and tear of stressful+emotionally charged days, all too well. But in a game of hide and seek for balance in his life, John began a meditation practice which finally lead him to finding a renewed sense of wellness. Now the owner of Meditation Bar, Josh is a teacher in training of iRest® meditation protocol and a student of making meditation practices tangible, but respectful for everyone. He believes in sharing his knowledge and letting others share theirs, which starts at home. Paige Davis is a mindfulness trainer, entrepreneur, author, and cancer survivor. She facilitates mindfulness and meditation programming designed to enhance communication, productivity, and managing high-demand situations with more clarity, compassion and creativity. The company’s thoughtful designs and creative solutions invite people to live a greener, simpler, and more mindful life. Her work has been featured in the Huffington Post, MindBodyGreen, Ozy, Health, and Mindful Magazine. She is a Master Trainer for the MMI Mindfulness@Work™ Program through Mclean Meditation Institute and author of Here We Grow: Mindfulness Through Cancer and Beyond. Learn more at hellopaigedavis.com. As a teacher, Krista Lea offers dynamic and self-reflective classes that enhance awareness. Her mission is to hold space for healing and guide others to feel freedom within body and mind. She infuses her classes with crystal bowls, chakra balancing, breath work, and weaves in self-empowerment teachings. She reccomends a Release class if you'd like to experience these all combined with mindful yoga flow. Steven Ross E-RYT200 is Director of Sacred Roots Yoga School and co-founder of Eastside Yoga. Steven has dedicated much of his life to the search for greater truth and Self awareness through his study and practice of Yoga. Born and raised in Scotland, it was his journey to Texas that transformed his outlook and began his quest in earnest. After years of searching a friend brought him to sit with an Indian Guru and from that point on he developed an unquenchable thirst to realize the lofty goals of Yoga. This journey eventually led him to open Eastside Yoga in late 2009 with his wife Elsa until selling in summer 2018. Certified by Srivatsa Ramaswami to teach vinyasa krama yoga, a systematic method of hatha yoga utilizing several hundred vinyasas (movements) practiced with slow yogic breath. This lesser known method taught by Sri T Krishnamacharya is ideal for those looking to develop integrated Yoga practice for body, mind and Spirit. A certified Ananda meditation teacher, he has been meditating and seeking for over 15 years. Steven’s teaching emphasis is to uplift the consciousness and bring spiritual connection to students. His passion is to share the ancient spiritual teachings of Yoga and Vedanta in a practical way for modern student. Devoted to his practice, study and realization of Yoga, his spiritual path lies with Paramhansa Yogananda and his direct disciple Swami Kriyananda, and their deep teachings for the modern age. A spiritual healer trained by Francis the Healer he offers healing sessions and spiritual counsel and he is a wedding officiant in the Austin area. Jody brings decades of passion for personal growth through meditation to her classes. Over the years, she has studied the techniques of Centering Prayer (Father Thomas Keating) and Mindfulness Meditation (Thich Nhat Hanh and Jon Kabat-Zinn). She believes strongly in “daily life” meditation, whereby we pay attention to what is happening in each moment and not simply living in “automatic mode”. She’s a certified hatha yoga teacher, and the founder of Living Radiance Yoga. She strives to empower others to embrace life wherever life is meeting them. She’s found through personal practice, the powerful effects of breath work, meditation, as well as sound healing. She compliments her meditations with crystal and tibetan bowls, and inspiring, affirmative, empowering teachings from various traditions. Marie has been teaching yoga and meditation since 2005. She discovered yoga in 2001 and embraced Anusara yoga; a Hatha practice that emphasizes alignment, optimal bio-mechanics, and heart-centeredness— because of the joy and freedom from pain it offered. She trained in Los Angeles and started teaching immediately. She recently started the Round Rock Women’s Meditation Meetup out of her home to offer more meditation to women in Austin’s northern suburbs. She loves to use isochronic tones in her classes to deepen the experience for her students. She is also a relationship coach and a mindfulness and meditation educator. 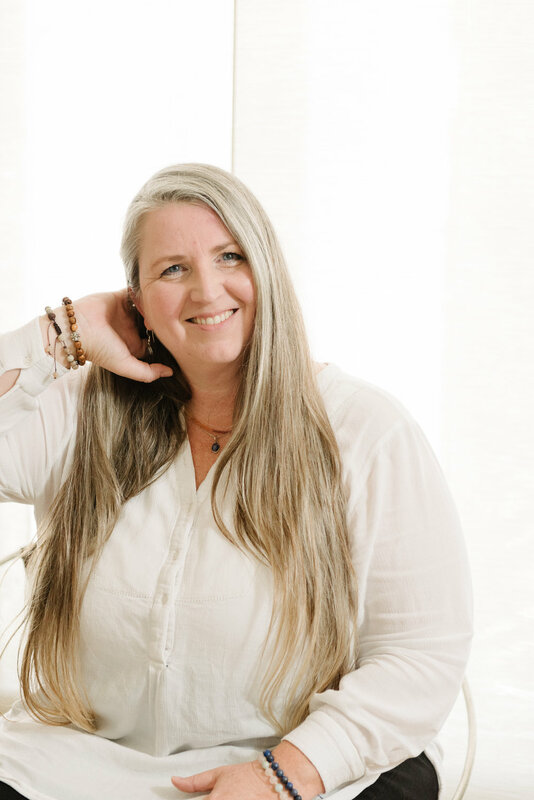 More than a teacher, Tracy is an intuitive guide, and healing facilitator who is an expert in creating and holding sacred space for transformative, amazing events. As a Certified Sound Therapist and Certified Holographic Sound Healer, Tracy has a deep understanding of the human electromagnetic field, the chakra energy system, and how crystals and sound interact with these fields. She is trained in how to recognize and remedy energetic imbalances or blockages within this field utilizing crystal and sound energy. Dr. Naumann has a Doctorate in Acupuncture and Oriental Medicine, with an honors concentration in Integrative Medicine: Qigong and the effects of Vibrational Healing. She is a certified Asian bodyworker, a Reiki master/teacher, and a certified Yoga teacher with over 15 years of experience teaching various styles of Yoga, Tai Qi, Qigong, meditation and holistic lifestyle principles. Postgraduate studies have included trauma recovery with acupuncture and herbs, certification as an acupuncture detox specialist (NADA), Mei Zen cosmetic acupuncture, cupping therapy, Chi Nei Tsang, Shakujyu Japanese meridian therapy, and a Doctoral study abroad intensive on Japanese techniques in Kyoto, Japan. Shingetsu Billy provides a meditative journey in healing sound through overtone singing. He is an internationally acclaimed singer and musician for 30 years, long time student of zen and tibetan buddhism, yoga, and various shamanic traditions. Experience a new kind of “performance” using voice and instruments from various parts of the world and enjoy his new album that is a culmination of many years of sound meditations at the heart is awake. Cory found meditation in 2014 when he decided to retire a life of hedonism and investment banking in New York and ride an old dusty motorcycle out west to California. Searching for some headspace and perspective he stopped in Joshua Tree for a 10 Day Vipassana meditation silent retreat. Through the intense silence and lack of worldly distractions, he discovered the importance of understanding and navigating our own internal environment. Since then he has carried a continued enthusiasm through daily practice which never ceases to provide new insights and shifting perspectives. He is excited for the opportunity to help others improve the quality and texture of their everyday experience through building awareness and self-compassion. Larisa is a Massage Therapist, as well as a Yoga, Bowspring, and Meditation teacher. Hoping to find a good workout, she stepped into her first yoga class in 2010. Unexpectedly, she found there was much more being offered than just burning calories, and dove deep into learning many different styles and aspects of self-improvement, spirituality, and body awareness. Her classes emphasize the incredible healing power of breath, and if you’re lucky, she may sing you a song.